Here's an email I sent to Jason Schleifer, Dreamworks supervising animator and great guy. That definitely is a reoccurring critique. I guess I need to think about my character more. Also, I was wondering if you would be able to answer a question I have - although it might be a little to substantial for an email. Why is switching to spline/linear so odd? I usually like my blocking, but when I make the transition it's almost like I'm working on something completely different! Maybe it's just me though. The main problem people seem to have when switching from stepped to spline is that they didn't define their breakdowns enough before the switch to really define what's going to happen. Usually people will put in their stepped poses at say 1, 10, 20, etc.. and those are their extremes. Then they'll put in breakdowns at 5, 15, etc as the inbetweens. When they watch it in stepped mode, it makes sense.. but that's because they're not seeing that interpolation between 1 and 5.. they're just seing 1---5. Know what I mean? So what I like to do is put a stepped key on 1, then another on 4 which is just slighly different than 1.. about 5% towards my breakdown. Then I'll put my breakdown on 6, then another pose at 8 that's about 5% of the way to 10.
does that make sense? The more breakdowns you do that really definte the action, the overlapping action, the contrasting motion, etc.. the closer your blocking will look to your splined animation. Followed by another question of mine. if you keep favoring the previous key/bd like that, wouldn't that cause a start stop thing? I just don't see how that would work if you keep favoring the previous..
You just favor what you need to get cleanly between the poses.. the whole thing is to keep it clean and simple. Add breakdowns where you need them, make sure you have keys that help define how you get into and out of your poses, and don't let the computer do it for you. Does that make sense? A while back I sent out an email to Keith Lango, now an animator at Valve. He was kind enough to get back to me with this advice. Any collge or university you go to will usually have a much broader program of instruction than just character animation. Sheridan is a fine school and has some really good teachers and faculty. You will be exposed to more than just animation. You'll get color, design, composition, lighting, 2d animation, life drawing skills- all stuff that I think is important to learn. I never went to college for animation, so those are all things I have had to learn on my own over the years. 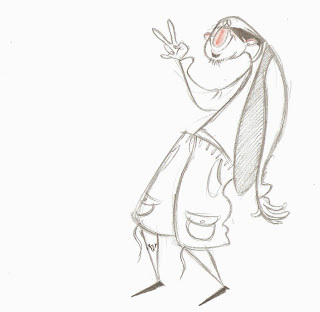 If I had a chance to go back and do it all over again I'd try and get into an animation/art/film school first. There's so much to be learned there. AM is just animation, so if you're absolutely certain that's all you want to do then AM makes sense financially. But I actually think Andrew makes a lot of sense when he suggests a traditional art school and then AM. In the end I am always a believer that the broader your range of understanding and experience the better you'll be as an animator. Too tight a focus leads to a shallow view of film and art. There are so many things I've been able to experience in my career that were beyond just animating and each one was cool in it's own. As for getting to the big studios, just keep practicing and making animation. Eventually if that's your goal you will get there. I have a few emails like this which I'll definitely start to post. So thanks to my awesome parents, I'll be starting at ianimate in September. For those who care enough to think, "but wait, you're still in highschool in Sepember" I thank you. Even though I'll be in highschool I've decided that I can handle the workload. The tough part will be when this program carries into my first year at Sheridan. But hopefully it'll all work out. 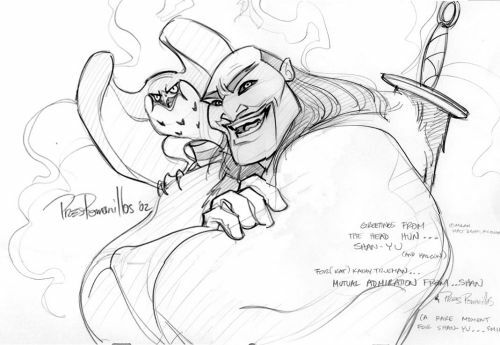 The school is run by Jason Ryan, a long time animator currently working on Dreamworks 'Megamind' as a supervising animator. “I’ve been an animator at Disney and DreamWorks for over 15 years and the Instructors that I have hand picked for you are the best in the industry. Animation is a major passion of mine, there is no better feeling than seeing our characters come to life on the big screen and audiences of all ages being entertained by your hard work. While doing my Tutorials and JRAWebinars, I’ve met many students that have been studying animation in Colleges and Universities around the world and paying through the nose. The worse part is that the teachers don’t have a clue about feature quality animation. 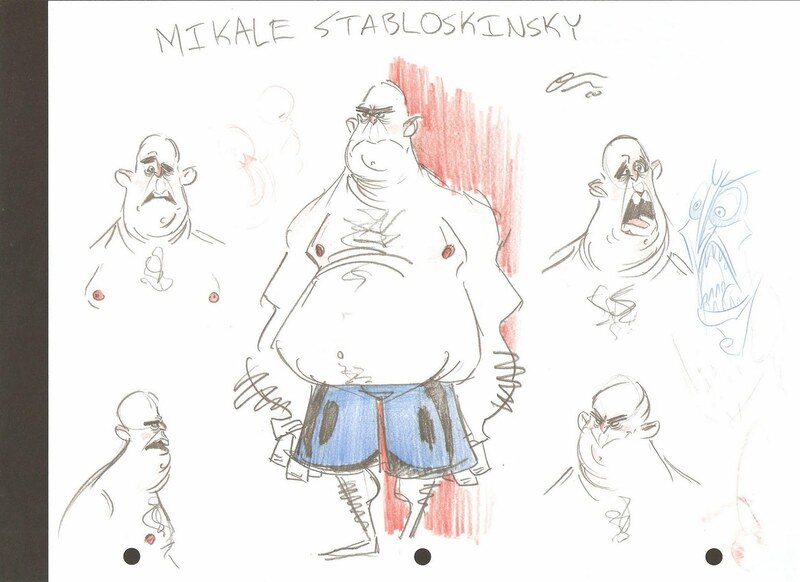 I want to help students everywhere learn the techniques that have made us the Animators that we are today." I'm beyond excited to begin the course, I have no doubt I'll improve drastically. Here's the completed version of the walk I posted last. Nothing spectacular, just something to keep me busy. Edit* My 40th piece of animation is done before I'm even a legal adult!!! Here's another walk cycle. This time of a cop I designed. Lotta problems in this first pass that I need to work out. I gotta start practising my character design for my portfolio for college. Well here's my very first hand drawn animation to dialog. I know it's incredibly short, but I gotta get the basics down. I don't know what it is... but there's something I don't like.. 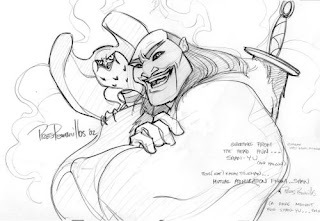 The man who brought you the Hun leader, Shan Yu of Mulan and many other memorable characters has passed away after a long struggle with Leukemia at 47. RIP Pres Romanillos. OK here's the latest and most likely last ball jump test I'll be posting. I think it's as good as I can make it. I actually showed my brother the earlier version, to which he responded, "That's horrible. It's just crap". Thankfully he approved of the new one. Here's a video I found over on the Character Design blog about Pascal Campion. Here's a little piece of animation I did in no more than 15 minutes. I was a bit bored and animation always seems to entertain me. And that awesome shark rig helped too. One thing a lot of my earlier stuff lacked was good settles which really make your work seem alive. I definitely try to hone in on that more with my more recent animation. Hopefully I'm not starting to add too much settles. Ok I've chosen my blogger app. It came down to being able to see my uploaded images in the right rotation. The only negative of Blogaway is that I can only upload one picture per post (same in all other blogger apps im aware of) and the compressed look of my posted images. Upside is that once you click the image it goes back to its proper dimensions. Posted via Blogaway for android. Well here's my chance to use my droid for some blogging. Sadly this particular blogger app only allows me to put one image per post. After sending my ball jump test to Aaron Hartline of Pixar animation, I was once again put in my place. He kindly responded and gave me his thoughts on my "simple" test. without stopping, bounce up high to get over the block. Instead he doesnt get to the top, but rather bounces off the top part of the block. Upset, he looks at it for a beat - backs up then does the bounce up to the top, and falls off. Then showing the anger and frustration, backs up really far - add that shake for the anticipation (like the rubberband example i give in the lecture) and have him it it a full force. Much Much harder then you have now and traveling more across the screen to hit it. Once the block slowly starts to fall, then comes crashing down - then have his attitude change to being happy, joyful. Celebrating by jumping up and down - lightly! - then bouncing off screen. You have alot of the beats - but im not feeling the emotion of the ball yet. Really play with your timing. How can you make this ball have feeling? I'm going to go back through the shot and address the points Mr. Hartline mentioned. The one re-occurring critique I get is always that my shot isn't clear. No one but myself understands what's going on. That's something I really need to hone in on. Well here's my more basic animation of a ball with character. And if your interested, here's a progress video as I go through the shot. Overall I'm fairly happy. I always end up liking it more during the blocking stage then final though. The only major complaint I can think of is that back track it does. It just seems off to me. I think it has to do with the jumps occurring over such a small a time frame. My "Man vs Machine" shot will be on a minor hiatus. Awesome Dreamworks animator Steve Meyer has ever so graciously decided to critique it for me when he gets the opportunity. In the mean time I've been working on the basics once again. I always seem to try something complex - fail - then move to something basic. Rinse and repeat. So yeah, I'm at the basic part of the two step cycle. Update on both shots soon! Larger update - no one reads my blog! Here's where I'm at with the shot I'm working on. So far I'm not hating it. Although I know I will once I get to the Splining phase. Some inconsistencies, but who cares. I wanted to try and get back into Flash, so I churned out this happy Ninja walk.